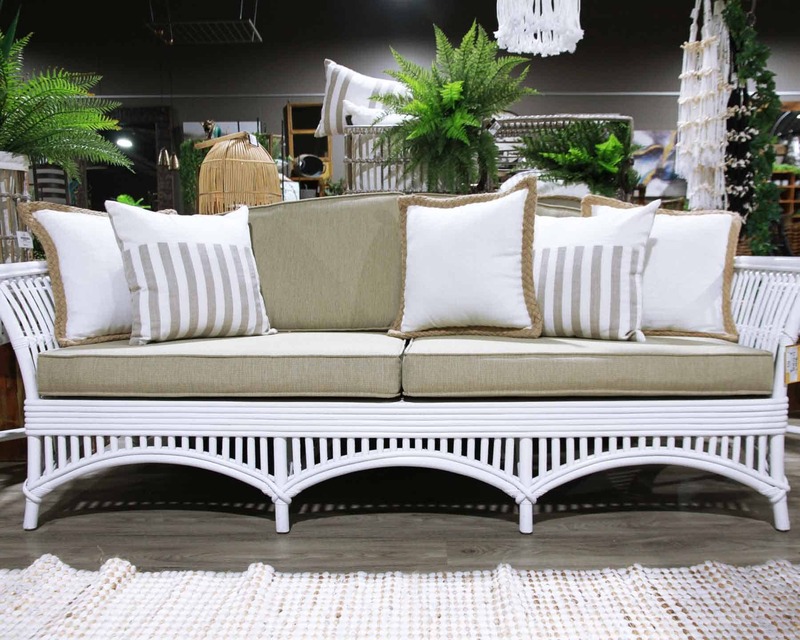 Sit back, relax and read this post… I am of the strong belief is that every home needs a daybed. 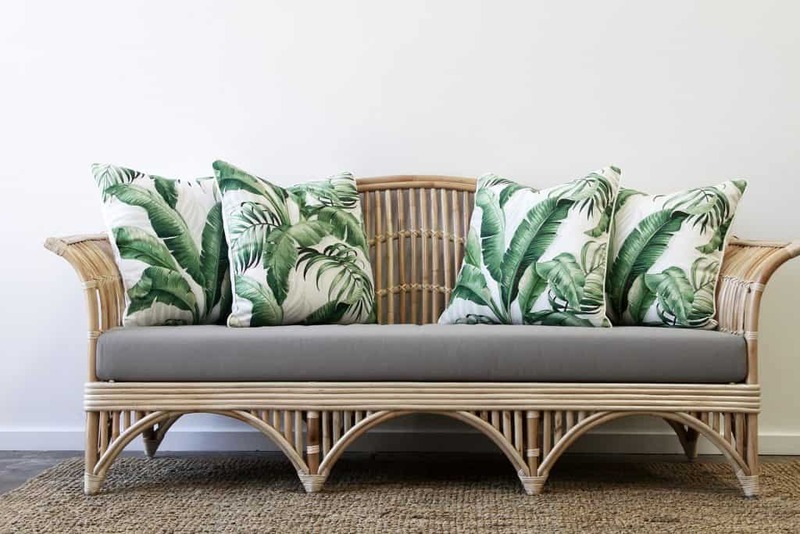 Our daybed sits on the verandah and this one piece of furniture hands down would have to be the most utilised piece of furniture in our home. This is because the daybed is a really smart furniture solution. It is a sofa and a bed, all in one, and can be styled with gorgeous cushions and throw! Now, the daybed comes in many varieties. 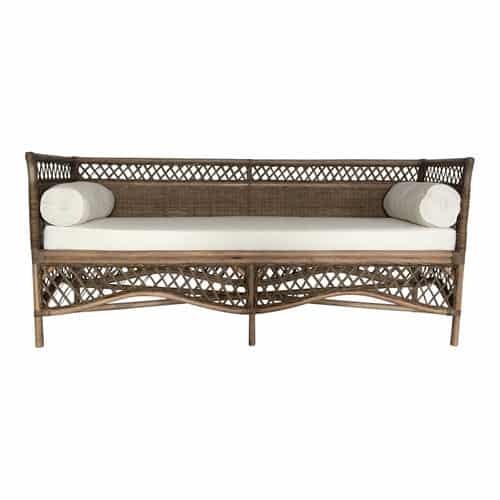 Some take the form of an extra deep bench, which lends a very European sense to your home. 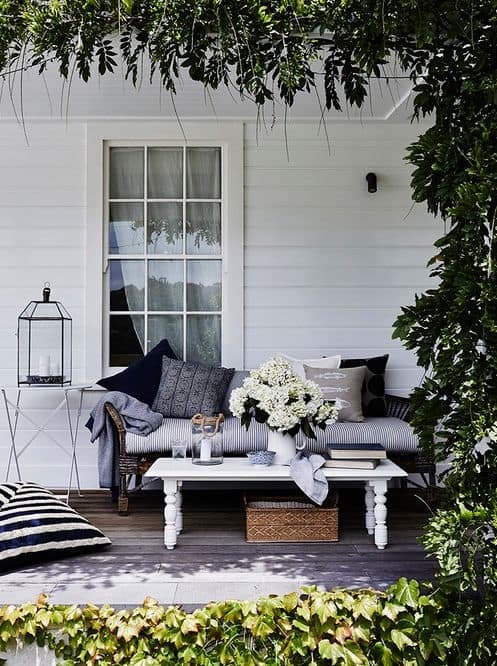 Others, and my personal favourite, are more traditional with a back and arms, and can be used everywhere from the bedroom, to the living room, to the balcony, patio, verandah, pool house or deck. For additional comfort I highly recommend our extra large 60 CM outdoor or indoor cushions. Not only are they fantastic for a comfortable backrest and support but a chance to add a little personality, pattern and colour to your daybed. 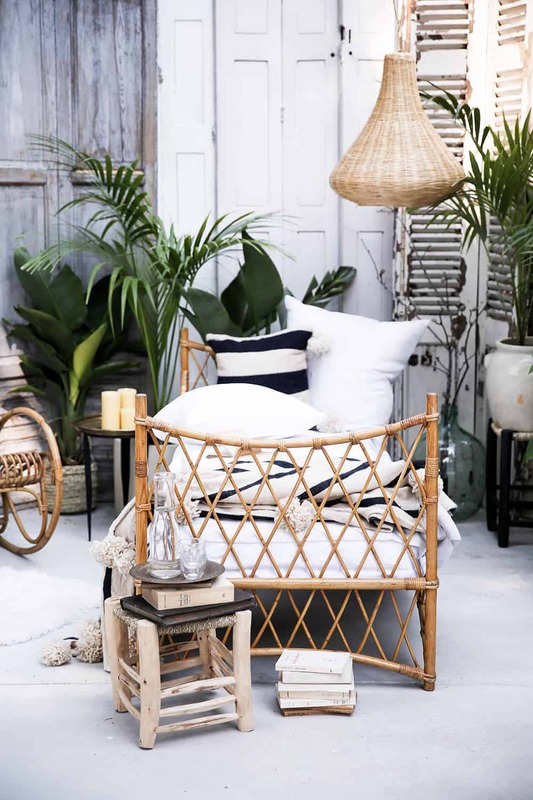 Our daybed is a vintage cane daybed that I purchased many years ago from Katherine at the Old Boathouse, however there are loads of new daybeds on the market here in Australia that certainly pass my style and comfort test. 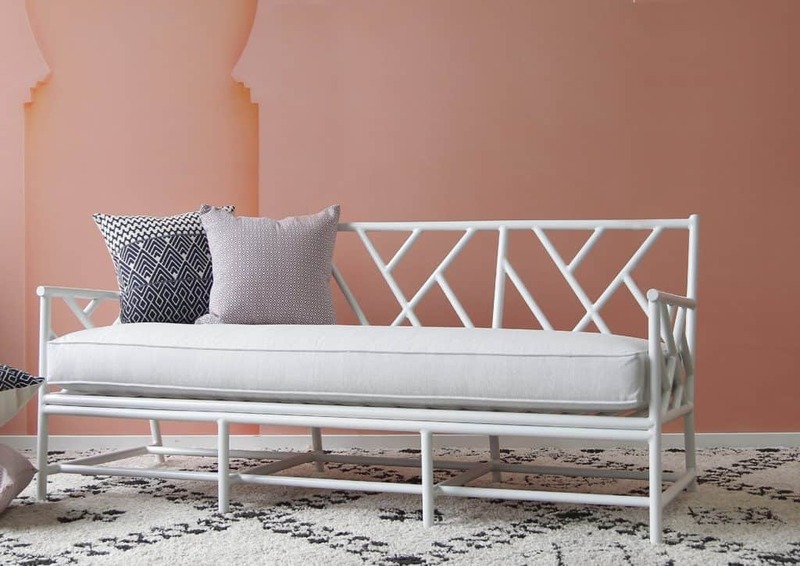 These daybeds are in no particular order, as I love them all!